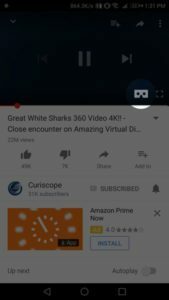 WHAT IS THE GOOGLE CARDBOARD VIEWER PROFILE? What is the Viewer Profile? What does the Viewer Profile do? Why do I need a Viewer Profile for my Google Cardboard? How does it work? How do I set it up? These questions will be answered here. The Google Cardboard project is open source and works with any phone and size. The issue arising from the compatibility with any phone is, that phone sizes differ. Some are 4 inches other are 7 inches. Our eyes and the lenses are however in a defined, fixed place and distance to each other. Adjustable lenses seem to solve this issue, however when you move them, you will see less as you cannot change the distance between your eyes, right? Also, to split the screen and position the center of the image in either half is no solution as well. It needs to be dynamic based on the size of the phone's screen. Otherwise the image would seem out-of-focus. As the app on the phone knows the size of the screen and the approximate distance of your eyes, the only information missing is the distance of the lenses. This information is contained in the Viewer Profile code. Even though the Viewer Profile looks like a QC-Code it is not scanned with a normal QR-Code reader. It is scanned through apps that contain the Google Cardboard code. At this point of time, all virtual reality apps should have that code. 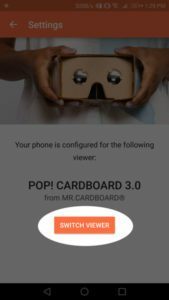 How you setup your Google Cardboard with the Viewer Profile can be found below. 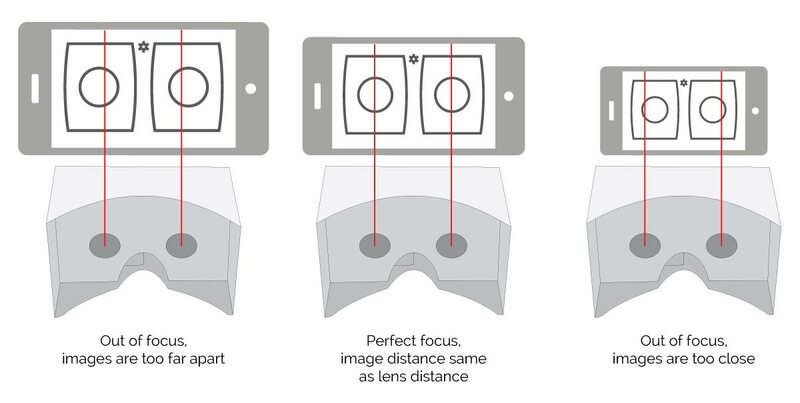 As phone screen size is changing, the virtual reality image needs to be dynamic to compensate. Otherwise out-of-focus images are the result. HOW TO SET UP MY PHONE? All you require is a Virtual Reality app on your phone and our Viewer Profile. If you do not have an app yet, download the Google Cardboard App (Google Cardboard App for iOS), as it explains quite well what to do. To show how it is done in a more general example, we will use the YouTube app you may also have already on your phone. 1. 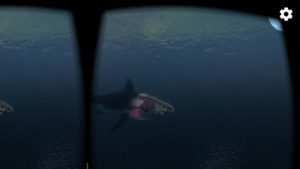 Open your YouTube app and look for a 360° video, for example "Great White Sharks 360 Video 4K"
4. Click on "Switch Viewer"
6. Done. This only has to be done once. YOU DO NOT HAVE A CARDBOARD YET? GET IT HERE!